In ordinary times, criminals disregard the law. In the PC Obama era, however, elected officials and state government agencies don’t have much use for the law either. Take Obama, for example. Contrary to the original headlines regarding Obama’s newly discovered immigration rights, Obama’s recent announcement regarding illegal immigration isn’t an executive order. Instead, it’s simply an abandonment of his executive responsibilities, insofar as he has now publicly announced that he refuses to enforce the laws that the legislative branch has passed. He’s still King Obama, taking the law in his own hands but, instead of making the law, he’s breaking the law. It turns out that, in Obama’s America, the federal executive branch is not the only government agency that has no use for explicit laws. In California, the State Bar is vigorously arguing that it doesn’t need no stinkin’ laws either. Let’s begin this discussion with the law itself. 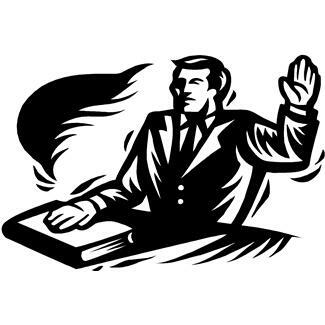 I solemnly swear that I will support the Constitution of the United States and the Constitution of the State of California, and that I will faithfully discharge the duties of an attorney and counselor at law to the best of my knowledge and ability. Put simply, California requires that, to practice as an attorney, the licensee must orally and explicitly promise that he or she will to support, not break, either state or federal law. With this in mind, how in the world can the State Bar of California argue that an illegal immigrant should become a licensed attorney? Shouldn’t both the Bar’s and the newly licensed attorney’s first obligation be to turn the attorney in for violating explicit federal immigration laws? An illegal immigrant who passes the bar exam and demonstrates good moral character should be eligible to practice law, the State Bar has declared in a court filing. The bar, which oversees California’s 225,000 lawyers, told the state Supreme Court on Monday that federal law leaves regulation of the legal profession largely up to the states and does not appear to prohibit Sergio C. Garcia, 35, of Chico from obtaining an attorney’s license. The court cited two federal laws as potential obstacles. One prohibits illegal immigrants from receiving any “state or local public benefit,” including a professional license provided by a “state agency.” The other prohibits employers from knowingly hiring illegal immigrants. In Monday’s filing, the bar said the first law doesn’t apply because the court is a branch of state government, not a “state agency.” In 1995, the bar noted, the U.S. Supreme Court ruled that federal courts aren’t government agencies. “There is no reason to believe he cannot take the oath and faithfully uphold his duties as an attorney,” the bar said. It said the policy considerations are similar to those the California court addressed in 1972, when it declared unconstitutional a state law requiring attorneys to be U.S. citizens. It’s pure sophistry to say that the federal laws don’t apply just because the California court system is a self-regulated branch of state government. This argument ignores entirely the fact that California’s own law, which does indeed govern, imposes upon attorneys the obligation to support the Constitution. The Constitution, in turn, is the umbrella for federal legislation. The same sophistry holds true when it comes to comparing legal immigrants, who have not violated any laws on their way into the country, with illegal immigrants, whose very presence is an offense to law. What’s going on here is open-and-above-board, so it’s we’re not concerned here with ordinary “cash corruption.” That is, this is not a situation in which a private citizen makes a payment to a government official in return for the latter’s promise to look the other way. What we have here is worse. We are witnessing a profound ethical corruption that sees public institutions deliberately flouting their own laws. This is a dangerous slippery slope. Once the reliability of law is gone, the only thing left is despotism or anarchy, with the former being the tyranny of an individual or group and the latter being the tyranny of the mob. When political officials expressly ignore the law, they are no better than ordinary criminals. What’s being stolen, though, is more valuable than money or jewels. It’s the essence of our liberty.